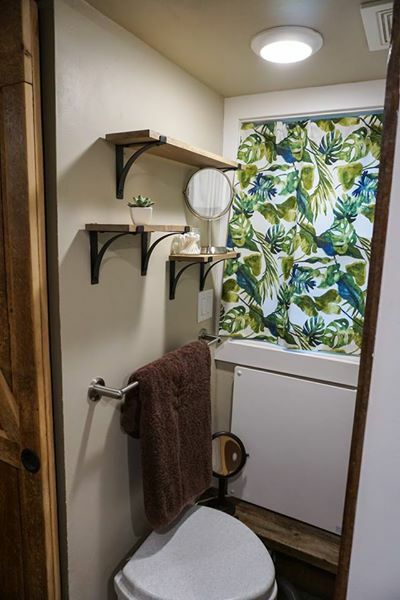 If you're a fan of Tiny House Nation, here's your chance to own one of the homes from the show! 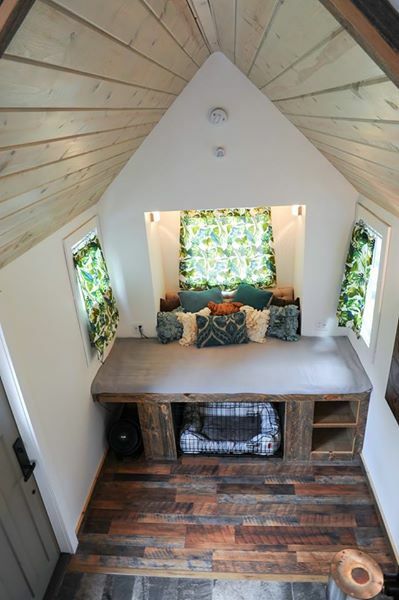 This cozy, modern/rustic home was featured during season three in an episode titled "170 Sq. 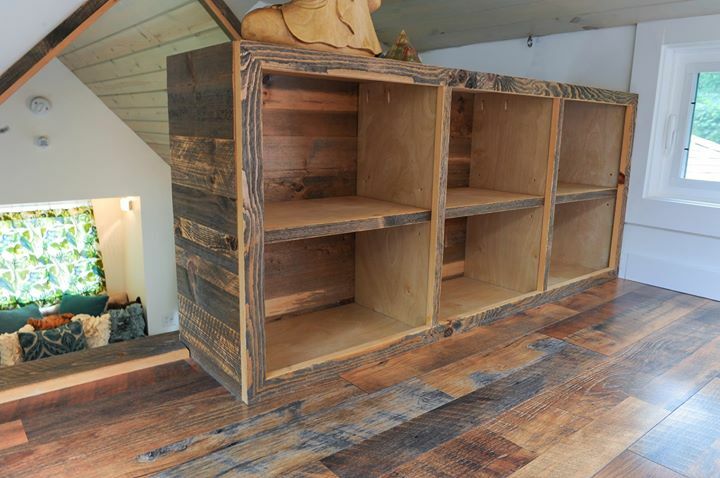 Ft. Rustic Bike House". 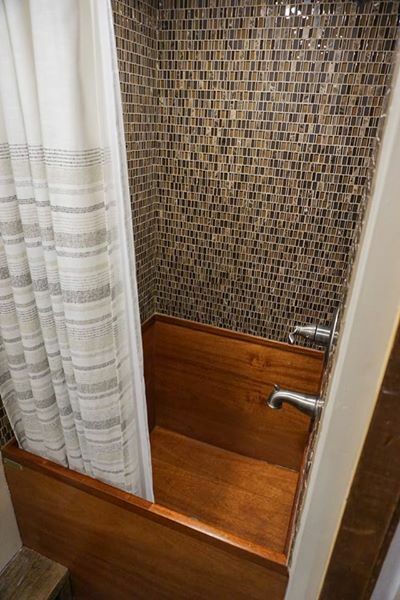 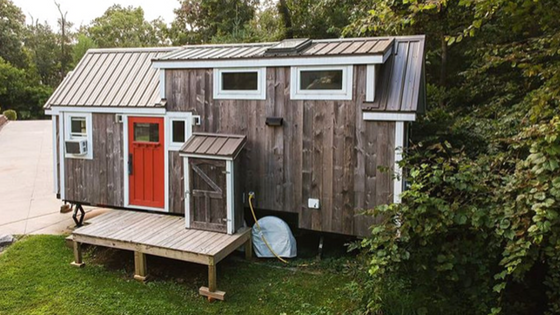 The home was built by Wishbone Tiny Homes and is for sale from its original owners. 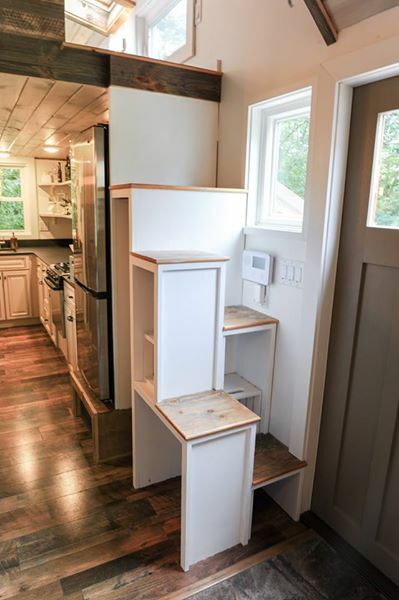 The 170 sq ft home has a bright open floor plan with a full kitchen, living room, bathroom, and loft bedroom. 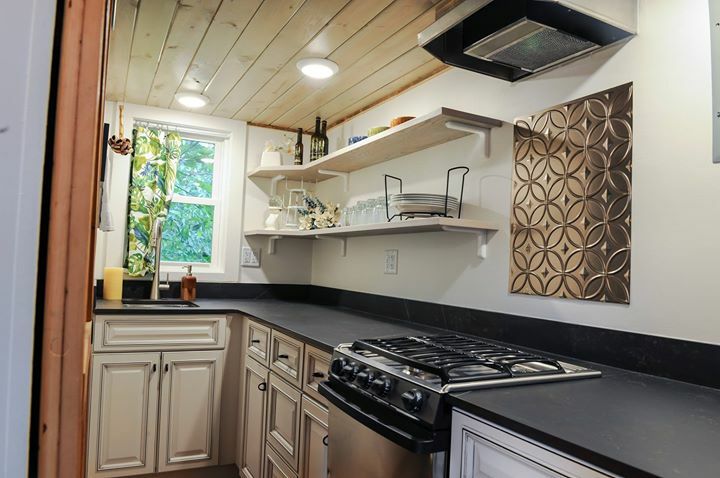 The kitchen features a breakfast bar and L-shaped counter with storage underneath, an apartment-sized fridge, a three-burner propane range with oven, and a stacked washer and dryer. 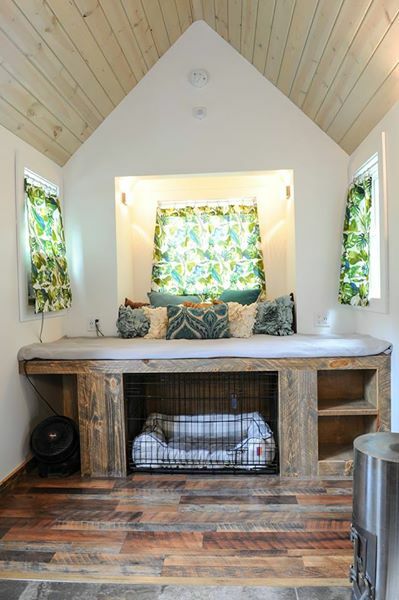 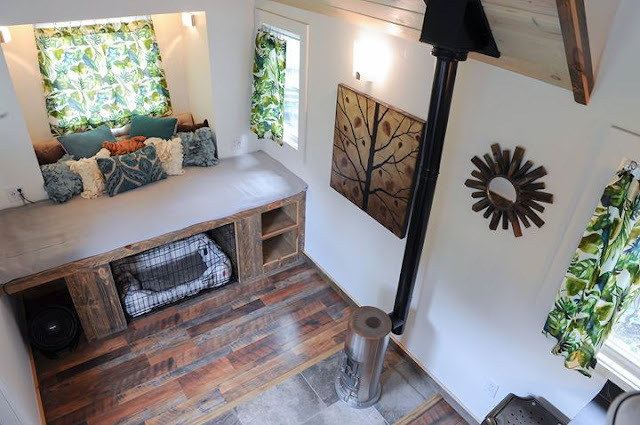 The living room has a Kimberly wood stove and a built-in dog kennel. 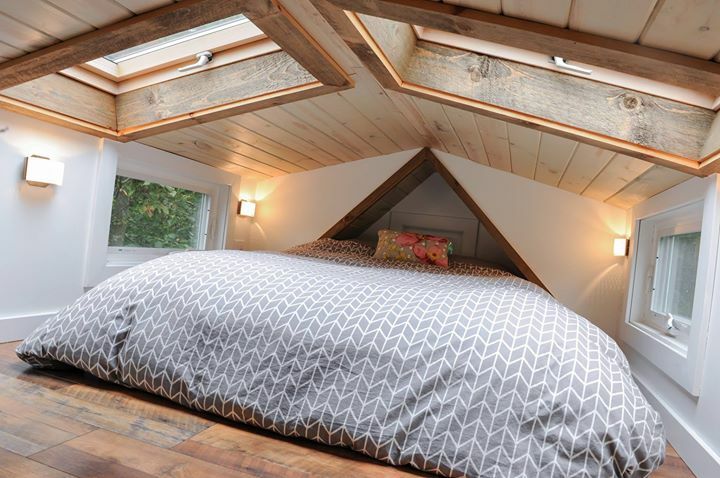 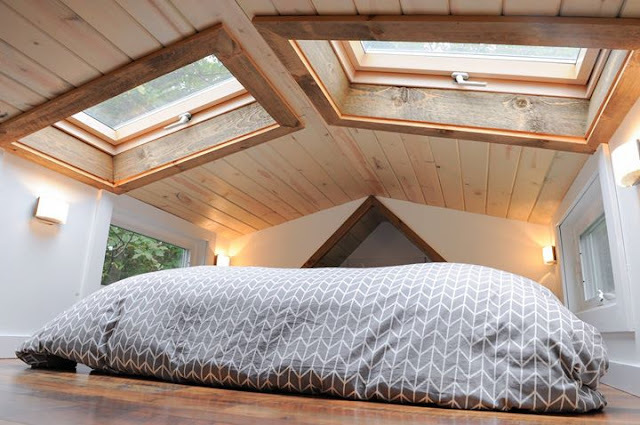 Up into the home's loft bedroom, accessible by steps, is an 8' x 12' room with two skylights overhead. 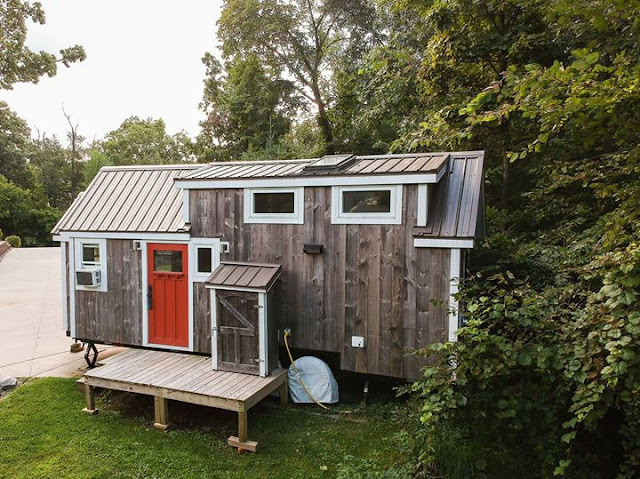 The home is built onto a 24' trailer with a corrugated metal roof, prefinished tongue and groove siding, and spray foam insulation. 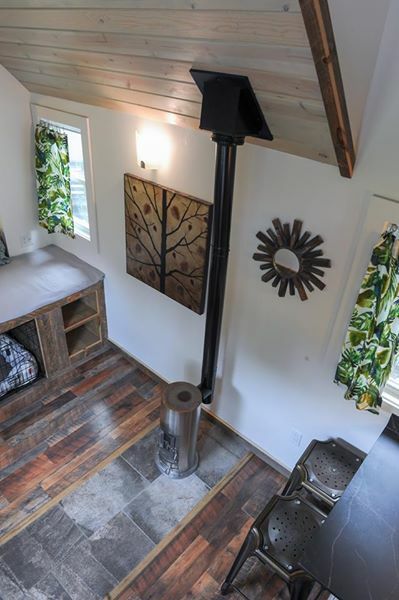 There's also a 50 amp with RV hookups available. 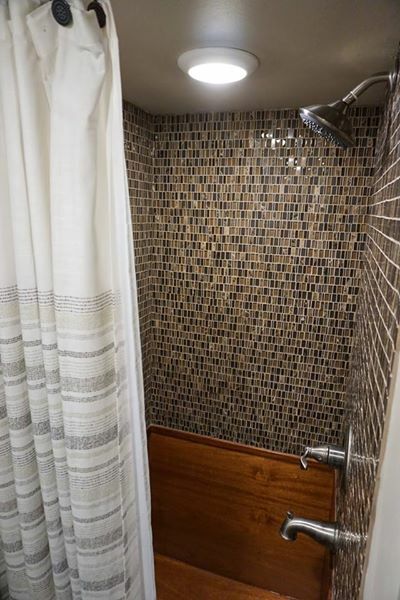 The home is currently available for sale in Watertown, Wisconsin, and priced at $69,437 here.